A new report from Colliers International predicts Australia’s biggest rail project for 100 years—the $10 billion, 1,700 km Melbourne to Brisbane Inland Rail—will boost industrial property values, create new intermodal facilities and logistics hubs, and revitalise the Ports of Melbourne and Brisbane. Malcolm Tyson, Colliers managing director of industrial, told the AFR the regions most likely to benefit from the rail link were the Darling Downs, Acacia Ridge and Bromelton in Queensland, Tottenham in Victoria, and Parkes in New South Wales. 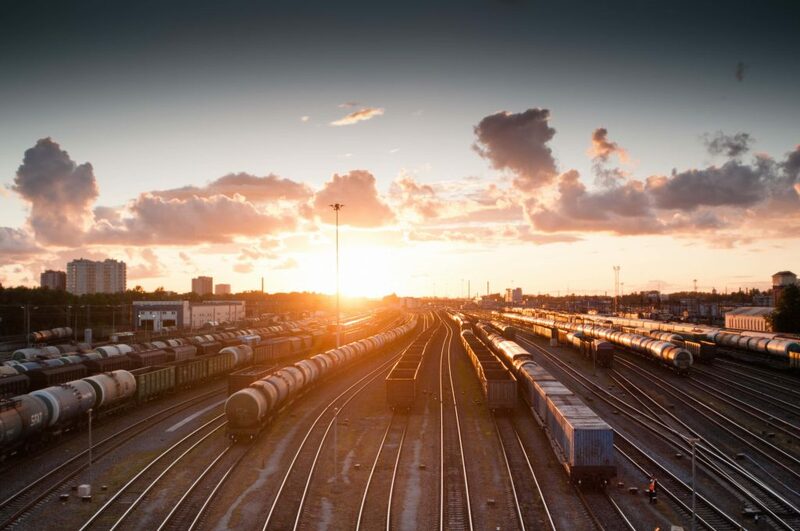 “We are likely to see increased activity along the Inland Rail route from the inter-capital freight users such as Linfox, CEVA Logistics, Toll Holdings, DB Schenker, DHL, Woolworths, Coles, GrainCorp, Bluescope and Visy,” Tyson said. Providers of intermodal transport and logistic hubs and industrial estates may also emerge to cater for the increased demand and relocation requirements from these users. “These providers might fall into service industry sectors such as cold-store warehousing, grain and commodities storage, rail maintenance, container park, food processing facilities, freight handling facilities, distribution centres and inland container storage facilities,” Tyson said. “We would anticipate that as firms begin to look to these middle suburban ring and outer regional areas supported by the completion of the Inland Rail, stronger demand should lead to increasing land values and overall industrial property performance over the long-term,” Mr Tyson said. Colliers National Director Industrial Matthew Frazer-Ryan told The Urban Developer there was a positive correlation between new infrastructure projects and associated uplift in industrial land value in a region. “The importance of these projects to improve accessibility of freight to the area is also likely to positively impact on the potential rental value of the industrial property in the region,” he said. “Within Melbourne this has been evidenced during the CityLink Tulla Widening project (almost complete) and the beginning of the West Gate Tunnel project which has directly impacted on transport and logistic operators in the region and led to an uplift in values. “In Brisbane, this was evident with the completion of the Gateway Upgrade completed in 2010 which saw land values in the Australia Trade Coast rise upon announcement of the project. “Equivalently in Sydney, the Westlink M7 Motorway construction (between 2003 and 2005, opened to traffic in 2005) saw average annual land value growth in the M7 catchment area (suburbs of Blacktown, Moorebank, Smithfield, and Wetherill Park) of around 22 per cent over the three-year period,” he said. Better connect cities, farms, and mines via ports to domestic and international markets. Provide Melbourne to Brisbane transit times of under 24 hours at 98 per cent reliability. Sustain thousands of crucial jobs in regional and urban areas, with up to 16,000 direct and indirect jobs supported at the peak of construction, and an additional 700 jobs once operational. Reduce the number of trucks on our major highways, helping to make our roads and towns safer. Boost Australia’s GDP by $16 billion over the next 50 years and reduce emissions by 750,000 tonnes. Business Insider notes that the current investment in transport infrastructure will boost the Australian economy by $16 billion in the next three years, mostly due to road and rail investment in the eastern states. The federal government has committed $8.4 billion to the 1,700km project, which is planned for completion in 2024-25.